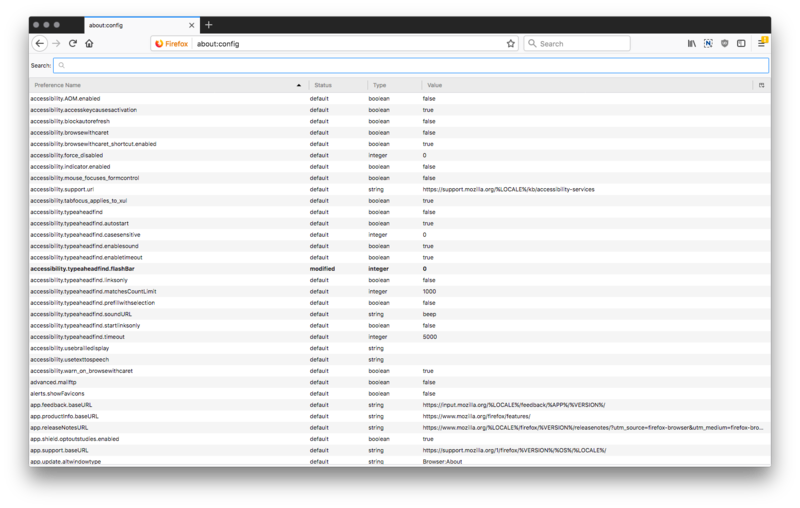 Prior to Firefox Quantum, Firefox had a plugin to allow websites to streamline printing without extra dialog boxes and additional pop-ups. 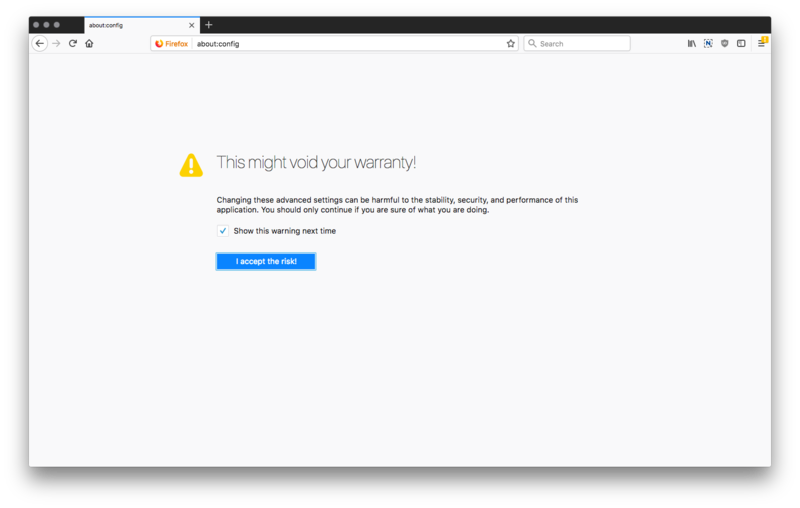 Firefox Quantum still has the seamless printing functionality, but it no longer allows changing the settings for it to be accessed by a web page. The user must manually make the change to enable it. This is how to do it. If you require advanced printing functionality, which was provided by the jsPrint plugin that is no longer available in Firefox Quantum, you can install Firefox ESR edition, which supports the seamless printing plugin, and will not be upgraded to Quantum. If you decide to go this route, you can disregard instructions below. 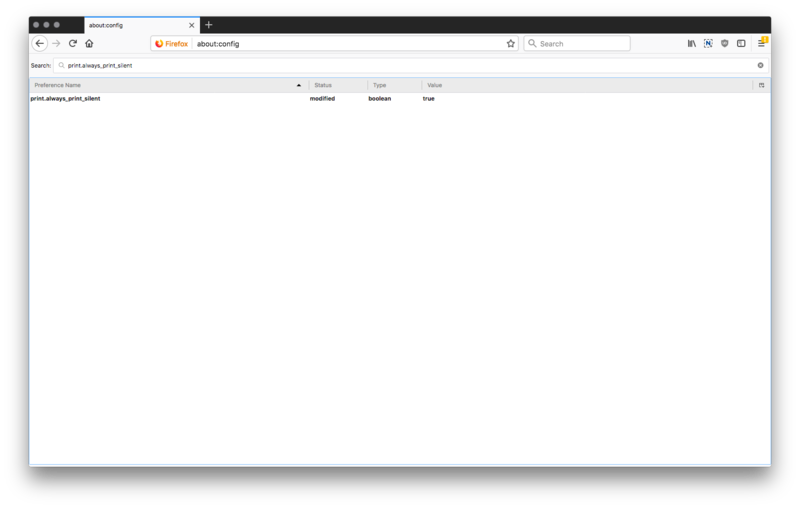 Open Firefox Quantum and type 'about:config' in the address bar and press enter. Click to confirm you know what you’re doing. At the top of the page, enter 'print.always_print_silent' into the search bar (no quotes). If you do not see anything appear, you will need to create a new entry. Right click anywhere on the page and selecting New > Boolean from the menu. In the popup enter print.always_print_silent as the preference name and then select True. If after you searched for print.always_print_silent you do find the setting, right click on the value, and chose "Toggle" to set it to True.